I’m always on the lookout for a good button down shirt refashion. And when I find one that’s made out of a soft jersey, well SCORE! 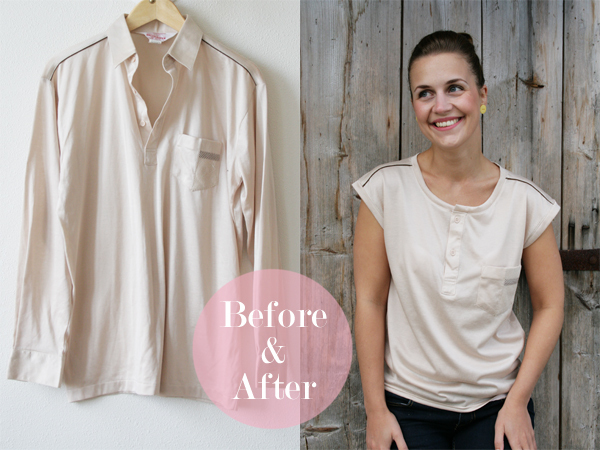 Thanks So Zoe for this button down refashion idea.